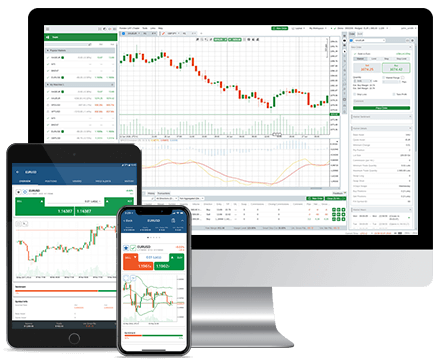 Our trading platform is engineered to provide you with optimal execution speed while allowing you to access 3 different trading methods on the same interface. 'Trade' is Fondex cTrader's functionality for manual trading. Choose manual trading if you'd like to make your own decisions about entering, modifying and exiting trades. The 'Copy' feature of Fondex cTrader enables you to copy tested strategies from other traders. Choose copy trading if you don't feel confident to trade manually or if you want to save time in conducting market analysis. 'Automate' is an algorithmic trading functionality which can be useful for both novice and experienced traders. 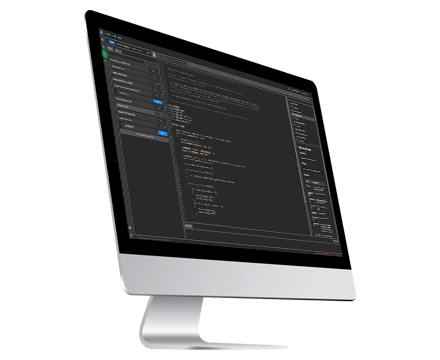 Use cBots to fully automate your trades or build your own robot using our inbuilt code editor. Built to satisfy even the most demanding trader, Fondex cTrader is the ultimate platform for manual trading. 26 time frames; from one minute to one month. 70+ technical analysis tools such as indicators, oscillators, lines and volatility measures. Ability to implement custom indicators built in Automate. Live Sentiment data to get a feel for the crowd sentiment. Customisable layout and detachable charts that you can use to trade on multiple screens. ChartShots tool that enables you to take a screenshot of your chart with a single click and share it on social media. Ability to create chart templates with your strategies and save them for future use. Create an unlimited number of watchlists with your favourite instruments and store them in the cloud for easy access from any device. Use the Quick Trade tool for extra speed when opening, closing and modifying orders. Fondex cTrader's Market Depth lets you view the full availability of executable prices as they are streamed from our liquidity providers. Enter multiple orders and have them filled at once, with no queue. Access up to 50 fields of information on your deals, orders and positions. Use Advanced Take Profit to define 1 to 4 levels of Take Profit and scale out of your positions gradually. Activate Advanced Stop Loss to have your stop loss moved to a break-even level after the price has progressed a certain number of pips in your favour. Set price alerts in order to be notified when the price of an instrument reaches a certain point. Copy hundreds of top performing strategies via our superior copy trading functionality. Use the available performance analysis tools to evaluate and select a strategy that best suits your trading goals. 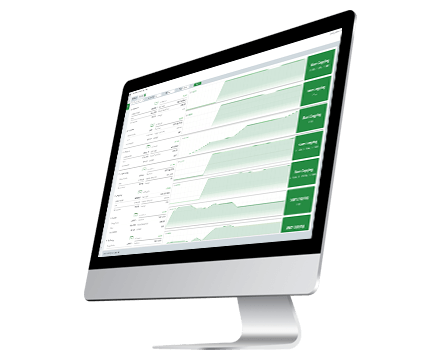 Instead of conducting your own market analysis, simplify your trading and save time. Assess all available strategies with our advanced tools. Rank them according to profit percentage. Select the strategy that suits your profile and trading goals. Click 'Start copying', and all your trades will be executed automatically. Be in control of your trades and risk management. Start and stop copying with the click of a single button. Set your Take Profit and Stop Loss levels at your preferred risk-reward ratio. Stay protected with our equity to equity volume model, which keeps your exposure at an optimal level for your account at all times. Access a wealth of performance analysis, history and reporting tools that help you make informed decisions. Use ROI charts, Balance & Equity charts and trading performance statistics to draw conclusions and make decisions on which strategy to follow. Use trading robots to automate your trades and eliminate human errors. Your positions will open and close automatically without the need for any decision-making on your part. Automated trading allows you to execute your trades with maximum speed and accuracy. It only takes two steps to start trading via Fondex cTrader Automate, making it the ideal automated trading solution even for inexperienced traders. Load a robot from the platform or download one from cTDN. Click 'Play' to start trading instantly. No technical knowledge or complicated setup is required. Once you choose your cBot and click 'Play', all your trades will be executed automatically. If you have been trading with bots on other platforms, you can convert them for use on Fondex cTrader. Your MQL4 indicators, Expert Advisors or other robots can be converted to C#, for use on Fondex cTrader. Please contact a consultant from the cTDN community, who will be able to do this for you. Professional traders can utilise our powerful tools to develop their own cBots or custom indicators. Use our inbuilt code editor to write code for robots and indicators. Gain access to all that you need to develop a robot or indicator via our robust API. Test your cBot's performance with our advanced backtesting functionality.